Transparent, flexible, permanent, acrylic medium with gloss finish. Light, spreadable gel, great as a collage adhesive, for varnishing effects and for transfer techniques. 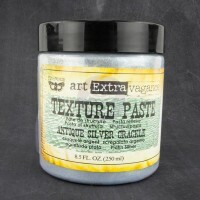 Great base for custom gels and paints - mix with pigments, inks and acrylic paints. A great value and a great way to try our Finnabair Art Ingredients! These Glass Beads come in sma.. Dense, permanent, paste which provides antique-looking, crackling effect. 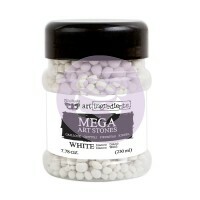 Size of cra..
White, light-weight, tiny stones which change your acrylic paints, gesso or Art Basics gels and p..